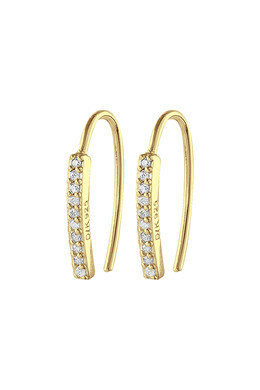 Our exclusive Sterling Silver Collection: Feminine hook earrings in Sterling silver with 18 karat gold plating. 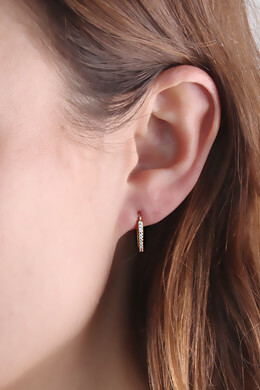 The vertical line is decorated with tiny white cubic zirconia crystals. With fish hook closure.